Remington Core-Lokt ammunition has taken countless game animals since its introduction; this .308 Winchester version is an excellent choice for hunting deer and other midsize game. 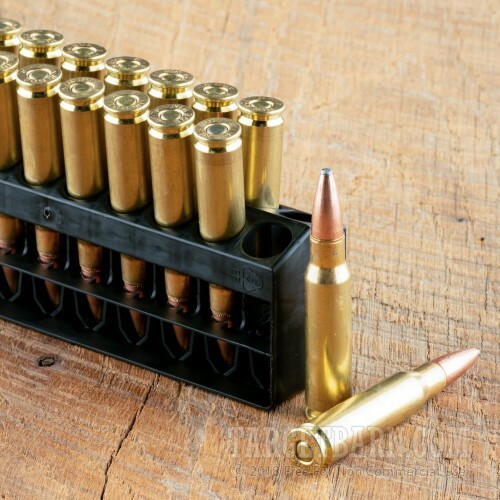 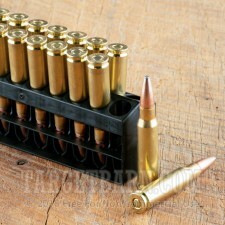 Each cartridge in this box of 20 propels a 150 grain pointed soft point bullet to a muzzle velocity of 2,820 feet per second. 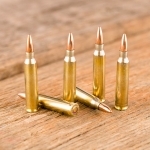 The soft point bullet delivers strong mushrooming and lethal terminal performance without heavy fragmentation; a locking design keeps the jacket from separating and diminishing effectiveness. 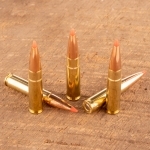 In terms of external ballistics, this ammo performs similarly to M80 mil-spec rounds. 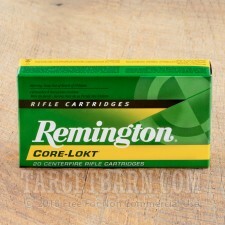 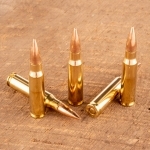 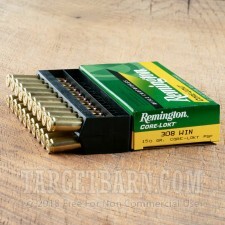 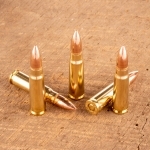 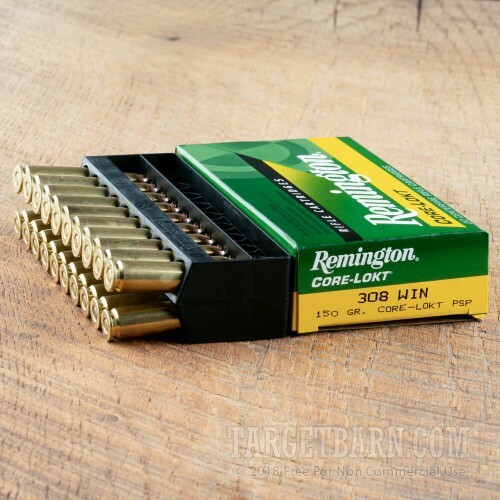 This ammo is made by Remington in Lonoke, Arkansas using non-corrosive primers and brass cases.